An original tower, whose unusual shape resembling an alien craft brought it worldwide fame. 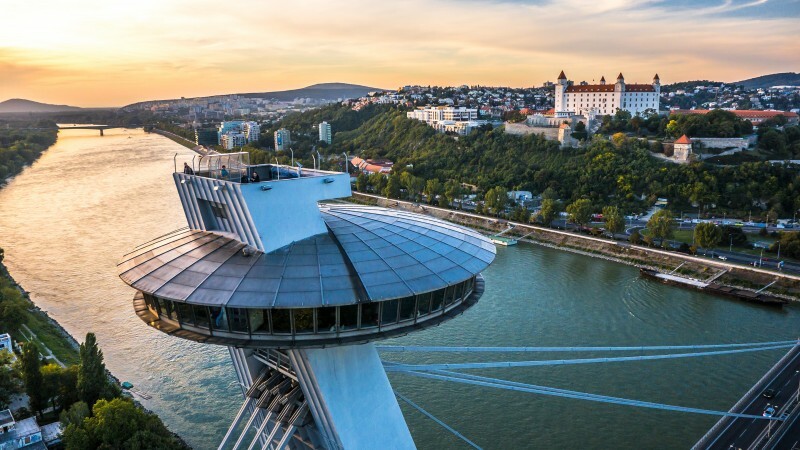 The UFO sightseeing tower was included in the World Federation of Great Towers. The construction of this world-renowned unique object lasted a remarkable 6 years, from 1967 to 1972. 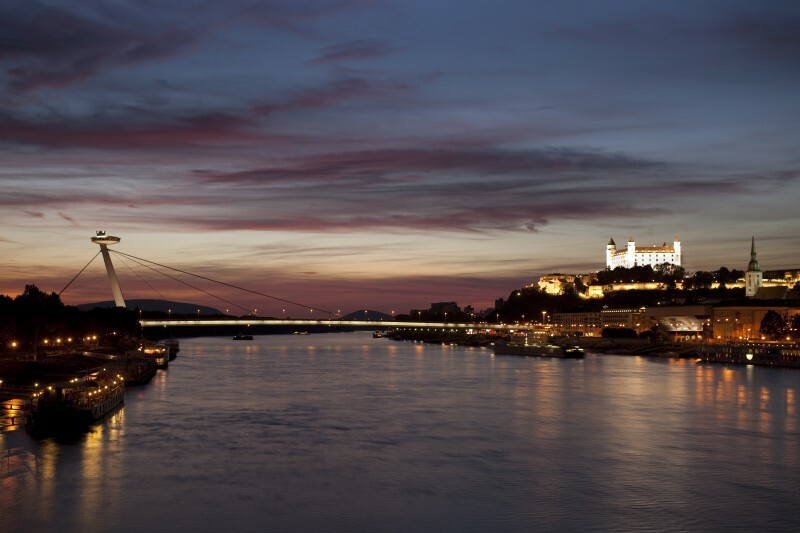 The Slovak National Uprising Bridge connects it to the other side of the Danube, one of the longest hanging bridges in the world. 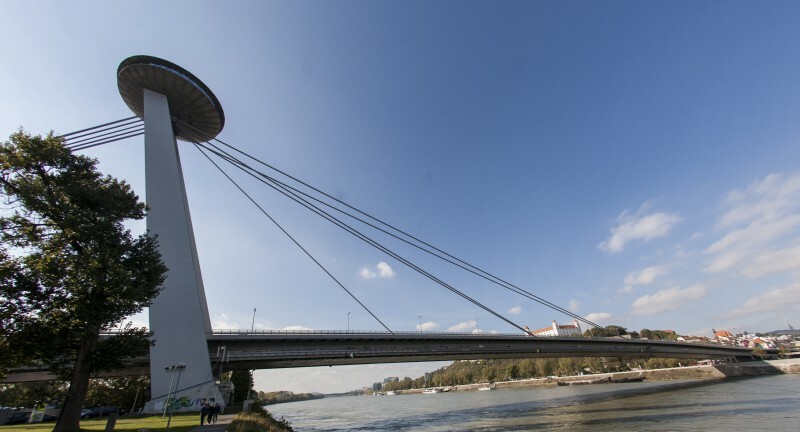 Architect J. Lacko and engineer A. Tesár conceived the UFO as a tower that was supposed to serve for the mounting of the steel bridge. This pylon is shaped by a steel column in the shape of the letter A, which slightly leans towards the Petržalka residential area. The bridge is 431.8 meters long, 21 meters wide and has two floors. The lower floor has two 3.5-meter wide walkways, the upper level determined for motor-vehicle traffic. The road itself is made of mastic asphalt and the two lanes are 2 x 8.5 m wide. The entire steel structure, including the pylon, weighs 8,000 tons. The bridge was officially put into operation on 26 September 1972. 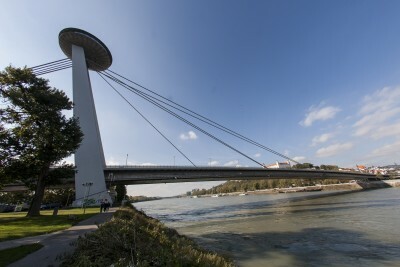 In 2001, the bridge was declared a building of the century. 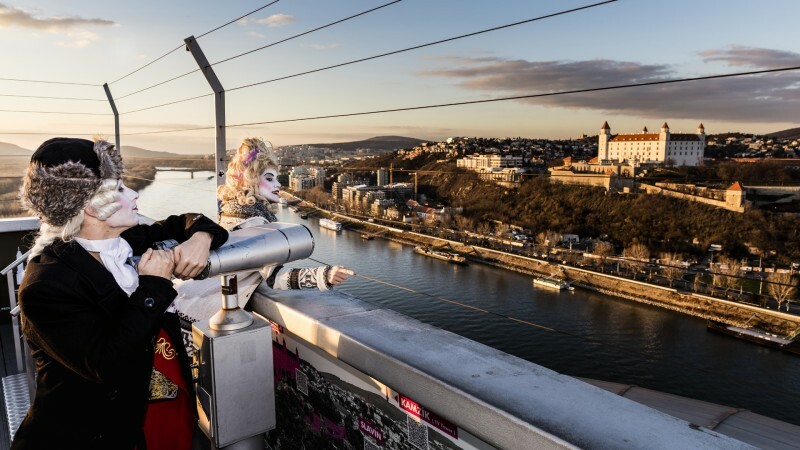 85 m above the ground, directly on top of the pylon, a restaurant and café is housed, which you can reachusing the elevator for 10 people in a single pylon or using the emergency 430-step staircase in the second column. In 2003, the restaurant was closed due to renovations, but already about 2 years laterZemeguľa s.r.o. reopened the operation for the public, this time with a completely new concept – UFO watch.taste.groove. This innovative project was created by Miloš Maličevič, Vlado Krajčovič and Daniel Čečetka. 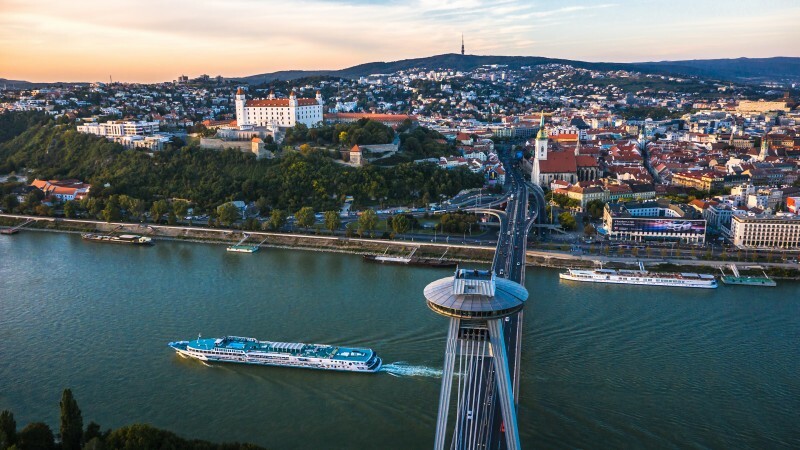 The newly opened sightseeing deck on the top of the dome offering a panoramic view of Bratislava and its surroundings at a range of up to 100 km serves as bonus for the city and related tourism.